Ten years ago, Intel decided notebook computers needed a boost. The technology wasn’t new, but while a fair few mobile workers had portable computers, and some even had modem cards or were using Bluetooth-connected phones to reach the internet, laptops weren’t seen as a truly mobile networkable device. And so the chip maker coined a new brand, Centrino, to promote the notion. Centrino combined Intel processor, chipset and networking products into a platform laptop makers could buy and build new systems around. Doing so would give them the right to use the Centrino brand, which, with vigorous advertising from Intel, would, they hoped, hook in punters. Intel’s Centrino initiative derived from two trends. Laptop sales were on the rise, and with the arrival in 1999 of Wi-Fi wireless networking technology - which conveniently coincided with the real availability of home broadband - more and more locations were offering wireless internet access at speeds well in excess of what mobile telephone tech could provide to users away from home and out of the office. Notebook shipments hit 30.5 million in 2002 - 23.5 per cent of all the PCs shipped that year, according to IDC, a market watcher, up from 22.5 per cent in 2001. Demand for mobile computers was beginning to boom, despite higher though falling purchase prices and lower performance than that offered by desktop PCs. Punters were getting keen on easily accessible, mobile computing, but laptop battery performance was too poor for notebooks to be reliable for pick up and go usage. The internet was a killer application for a new generation of users. While wireless technology was available to the wealthy and to businesspeople with IT staff to fit it, it wasn’t a standard feature for the rest of us. Intel decided that if it was to push forward sales of notebooks - and thus sales of its own, more pricey chips - it needed to tackle both of these barriers. Inside Intel is was realised that the company’s current mobile chips, back then pared down versions of desktop parts, were not sufficiently power efficient. An Intel team in Haifa, Israel was tasked to build a mobile-specific processor with a low power consumption as a key design goal. But the new chip also had to match the performance of the latest Intel mobile chip, the Pentium 4-M. The result was Banias, a 130nm, 77 million-transistor chip that was based on Intel’s then previous generation of processor, the Pentium III and its P6 micro architecture. Banias comprised the Pentium III core connected to the Pentium 4 bus interface to allow it to use modern motherboard designs. It had a 400MHz frontside bus clock. Intel’s Streaming SIMD Extensions (SSE) 2 instruction set was added too, again to bring the part up to date. Intel’s engineers in Haifa extended the company’s existing SpeedStep technology to increase the number of possible clock frequencies the chip could dynamically switch to, the better to cut power consumption when the host machine was idling or running lightweight applications. 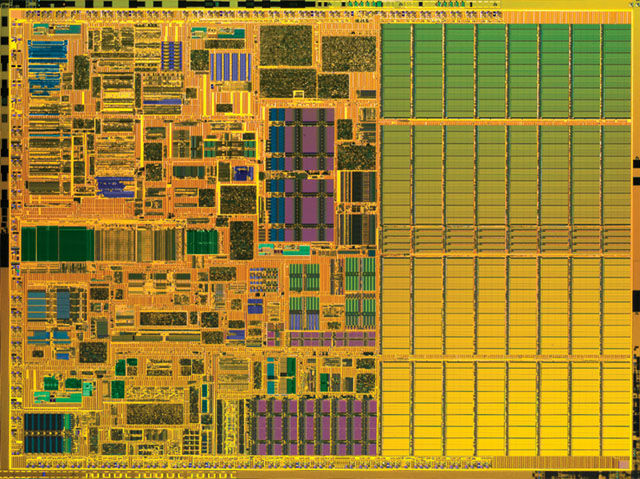 The team also upped the chip’s Level 2 cache size to 1MB to allow more data and instructions to be retained on board the processor, reducing the number of wasteful calls to main memory. The cache was segmented into units which could be run at a very low power level when not being accessed. Finally, they introduced Micro-ops Fusion, a technique the combined two of the CPUs native instructions, converted from the standard x86 instruction set retained for compatibility, into one in order to execute the pair more quickly than they would separately. The faster instructions are processed, the quicker parts of the chip can have their power cut to reduce overall energy consumption levels. The upshot was a chip capable of consuming a maximum of 27W, falling to just 5W when idling. The benefit, Intel said, was clear in a Centrino system’s battery life. Using MobileMark 2002, “the industry’s first benchmark testing a combination of battery life and performance”, the company was able to show that a Centrino-based system might deliver up to five hours of battery life, compared to about four hours with a Pentium III M system and about three hours with a mobile Pentium 4 M-based systems. 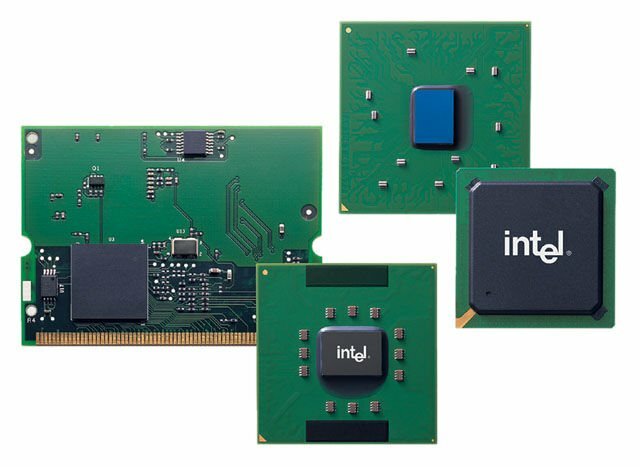 “On the same benchmark, Intel Centrino mobile technology offers 41 per cent faster performance on multitasking office productivity applications compared to a mobile Pentium III 1.2 GHz, and a 15 per cent improvement compared to the mobile Intel Pentium 4 M 2.4GHz system,” the chip maker noted. Of course, it didn’t say which of the 1.60, 1.50, 1.40 1.30GHz Banias launch Pentium M processors it had used.